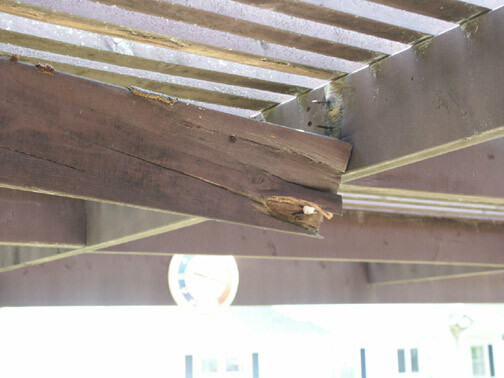 The untreated pine wood on this Pergola patio cover was rotting and decaying. Untreated pine lumber is not suitable for outdoor use. Even treated pine that is properly stained can eventually decay. Cedar or composite woods are the best choice for exposure to the elements in our harsh Midwest climate here in Omaha and Elkhorn NE. 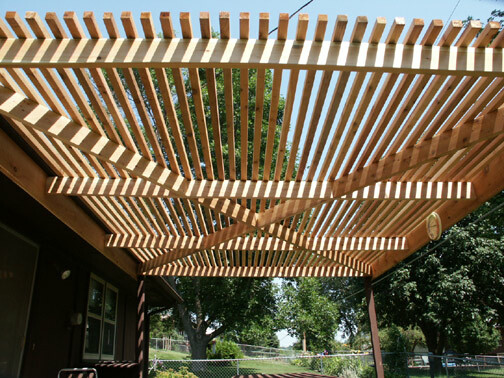 If you are looking to have a Pergola sunshade designed, built, repaired or stained call Scott's Painting & Staining Inc. today for a free design consultation and estimate. We can offer various solutions for all budgets, and will let you know which option is the best long-term solution based on your budget and maintenance plans! 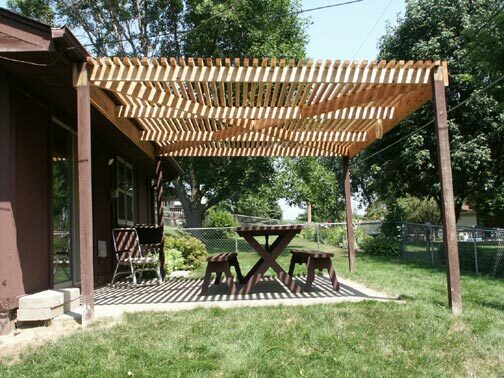 Visit our Pergola Staining Services page for a complete list of Pergola, Deck and Fence Staining Services.